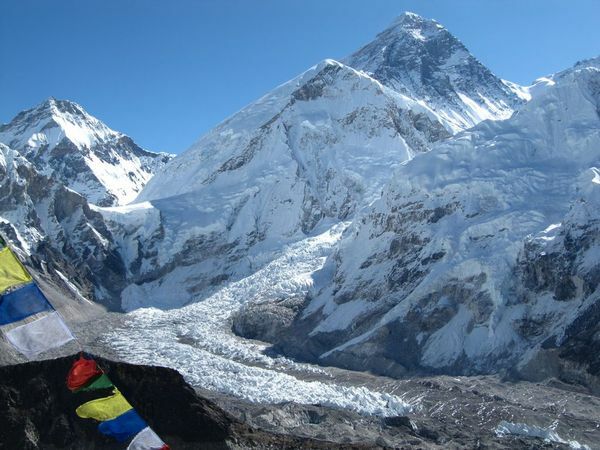 In November 2018 we will be trekking to Everest Base Camp at the foot of the highest mountain in the world. On the way we pass through countless typical small villages, historic monasteries and beside snow covered spectacular mountain scenery. 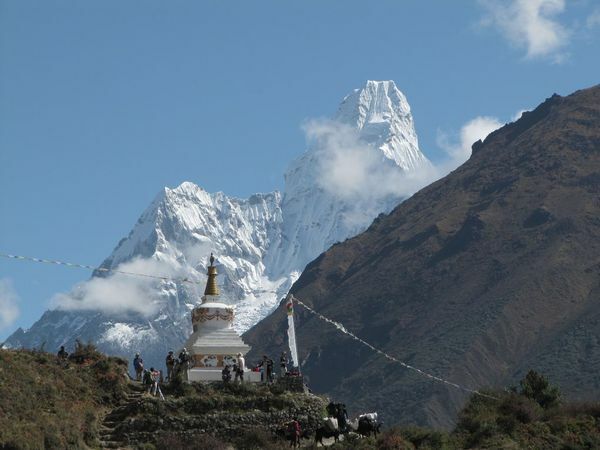 Hiking to Everest Base Camp is one of the most spectacular and historic of all mountain journeys. The trek itself is 11 days of hiking and we also spend a few days at the beginning and end to explore the ancient bustling city of Kathmandu. This is an all inclusive trek and we will be fully supported by a local guide and a team of Sherpa to transport our luggage each day. 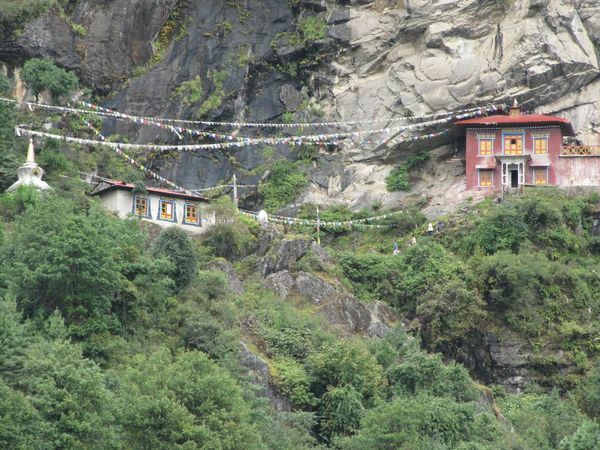 All accommodation and meals are also included, together with local flight to Lukla for the start of the trek. This is an all inclusive trek and we will be fully supported by a local guide and a team of Sherpa to transport our luggage each day. All accommodation and meals (except lunches and dinners in Kathmandu) are also included, together with local flight to Lukla for the start of the trek. 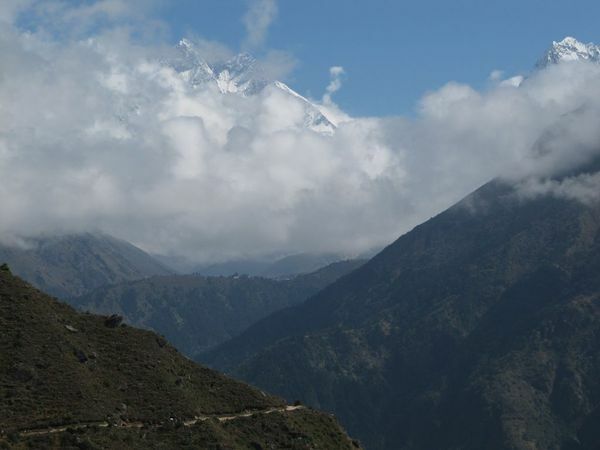 The trek has become one of the great hikes of the world since the very first expedition carried out by Sir Edmund Hillary and Tenzing Norgay Sherpa in 1953. 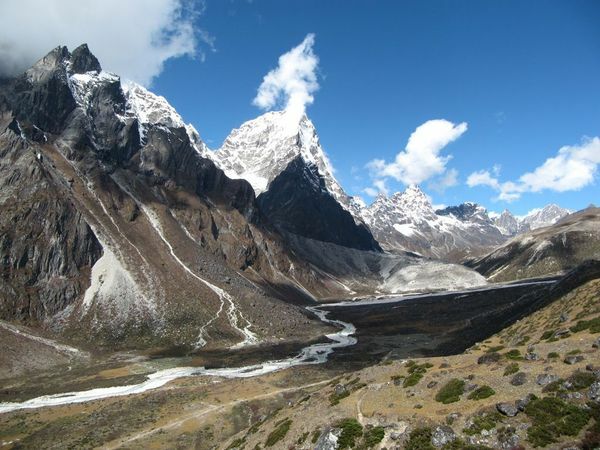 We follow a good mountain trail, which is safe, well used and one of the most ancient trails in the Khumbu region. The route is suitable for both experienced trekkers and regular hill-walkers and is not technically difficult. We will be taking the historic route from Lukla through Namche Bazaar, to Tengboche monastery, Lobuche, Dingboche and Gorak Shep. The whole route is stunningly beautiful, with its backdrop of awesomely high mountains. The people, villages and monasteries are equally fascinating and humbling in their beauty. 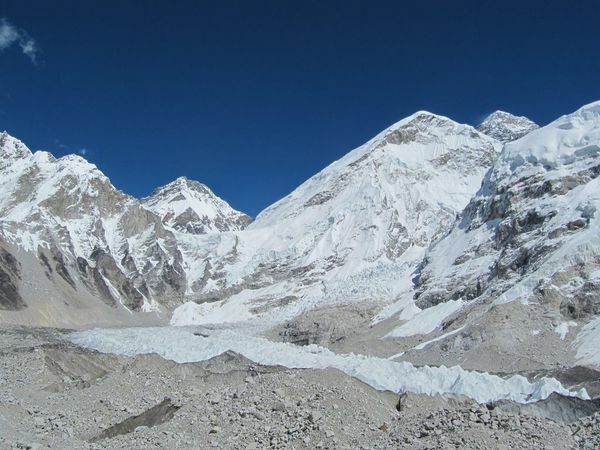 A trek to Everest Base Camp, however does not only offer a chance to admire the beauty of the mountains and the culture of the area, it is also a tough physical challenge which should not be underestimated. It is within the capabilities of any normally fit person, however, the altitude does have an effect and therefore we will take the route slowly with stops to acclimatise on the way. 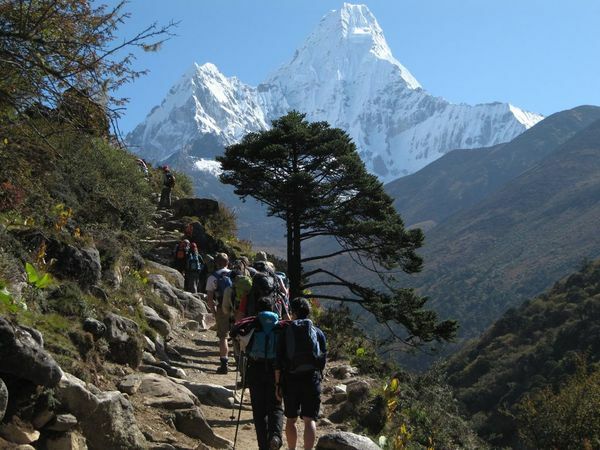 We will follow the classic trekking route, used by mountaineers such as Sir Edmund Hillary. 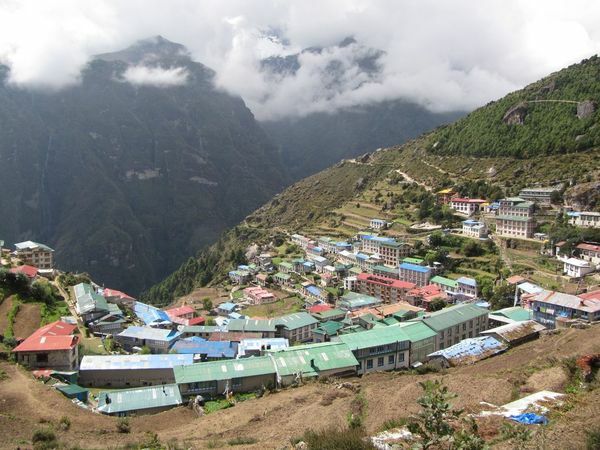 We pass through historic villages including Namche Bazaar, where will stop for an acclimatization day, ancient monasteries and beneath some of the highest mountains in the world. There are two acclimatization days, where we will take a local day hike and explore a small summit or a scenic walk. We will spend 2 nights at the beginning and end of the trek in a good quality hotel in Kathmandu. The 11 days on trek will be in traditional Nepalese Tea houses. The quality varies and is generally better lower down than higher up the valley, but will be in twin rooms, with shared bathroom and sometimes showers. To book, click add to basket and then checkout to pay your initial deposit of £225. The remaining payment of £1150 is paid in two staged payments of £575, six months before departure and £575, two months before departure. Our prices are listed in UK pounds and calculated on 1st October 2017 based on the current exchange rates. However we have to pay for accommodation and food in US Dollars during the trek. Therefore we reserve the right to charge a supplement in the event that the exchange rate changes by more than 10% between 1st October 2017 and date of departure. We would suggest flying out from the UK to Kathmandu on Friday 2nd November for arrival early on Saturday 3rd. There are plenty of airlines that fly out from various airports with a stop over in the Middle East or India. We will be meeting in Kathmandu on Saturday 3rd depending on arrival time and we will have a group briefing in the evening followed by dinner. Once the trip is fully confirmed, we will let you know so that you can book your flights. Please note that the porters for the luggage transfer ask that you bring a ‘soft’ bag and not a wheeled or hardcase bag. 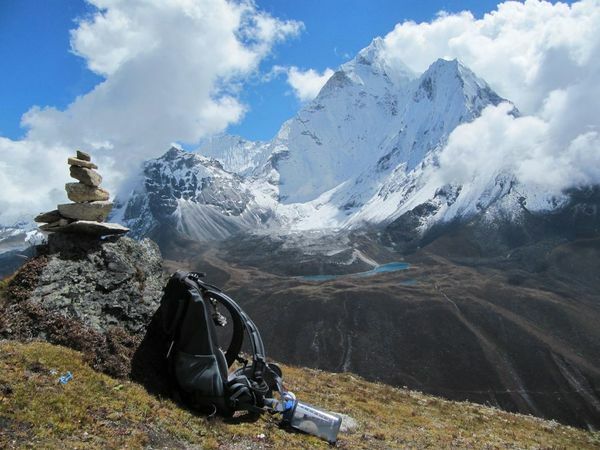 The weight limit for your main luggage while on trek is 12kg and no perishables or valuables should be inside. The weight limit for the local flight is 10kg for your main luggage and 5kg for your hand luggage.